Margaret Fulton, then working at advertising agency J. Walter Thompson, joined the weekly women’s magazine Woman’s Day as food editor and began to introduce Australians to a wider world of cookery. She remained at Woman’s Day for 19 years, before moving to the Murdoch-owned New Idea. She was to become Australia’s leading cooking pundit, being awarded an OAM (Medal of the Order of Australia) in 1983 and named an Australian Living National Treasure by the National Trust. 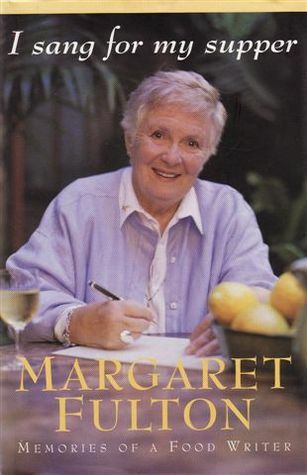 Margaret Fulton published her autobiography in 1999. Fulton was born in Scotland in 1924 and three years later came to Australia with her parents, who settled in Glen Innes, in northern NSW. She moved to the city in 1943 and after a brief spell in a wartime munitions factory began working as a cookery teacher at the Australian Gas Light Company. In the early 1950s, after her first marriage failed, Margaret Fulton ran David Jones’ kitchen and homewares department. In 1954, her career in women’s magazines began under the pen name of Ann Maxwell at the now defunct Woman. This led to her ad agency job, where she worked as an account executive on business including Kraft, Kellogg’s and Kelvinator. Then, in 1960 she was recruited by Woman’s Day as Food Editor, this time using her own name. In this role, Fulton was able to travel the world and took particular delight in introducing her readers to dishes beyond the traditional grills and roasts that usually featured on Australian family menus. In 1968, she released her first cookbook: The Margaret Fulton Cookbook. After its initial print run of 30,000 copies sold out, the book went on to sell more than 1.5 million copies. It was the first of dozens of cookbooks including books on microwave and crock-pot cookery, Asian food, pizza and pasta and a whole range of books devoted to individual ingredients. Fulton was recruited by Rupert Murdoch in 1979 and switched to New Idea, where she worked for two decades. She has also conducted food tours, endorsed various food products, developed menus for Ansett airlines, given countless talks, written hundreds of articles and may justly claim to be the ‘first lady’ of Australian food. The book based on this timeline can be ordered through your bookstore or from the usual online stores. It’s a nostalgic look at our food history from mutton to MasterChef. More details here. And you can still buy my personal account of how Australian food has changed in the baby-boomers’ lifetime. It’s the story of a generation that can remember life before pizza, with a look at the ‘Mad Men’ era of Australian advertising. Buy it now.